Gorgeous New Design ... Classic Performance! The NEW GIA Harmonizer is the and most advanced way to create an energetically harmonious environment in your home, office, and/or hotel room. This innovative device is the result of intensive research and development in the field of bio-energetics and electro-sensitivity. The Harmonizer’s convenient size makes it also the perfect travel companion, so you can create a calm and relaxing space anywhere you live, work, and play! Please note: While the below video shows the original design of the GIA Harmonizer, the proprietary bio-energetic technologies used in the newly updated, more ergonomic (square) design of the Harmonizer have not changed. Remember: Gorgeous New Design … Classic performance! 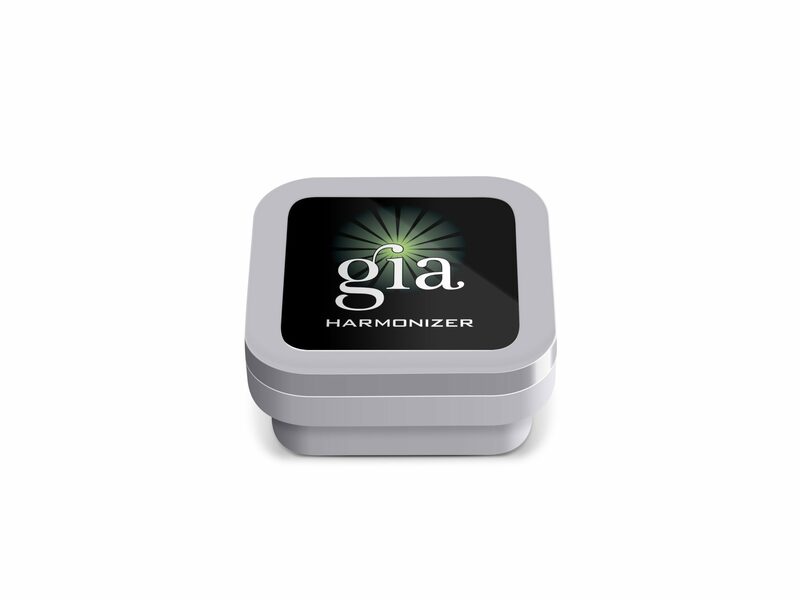 The NEW GIA Harmonizer is the most advanced way to create an energetically harmonious environment in your home, office, and/or hotel room. This innovative device is the result of intensive research and development in the field of bio-energetics and electro-sensitivity. The Harmonizer’s convenient size makes it also the perfect travel companion, so you can create a calm and relaxing space anywhere you live, work, and play! Feeling less stressed, more focused, and more energized in the home, office, and/or hotel room! A positive behavioral change in family and even pets! Easy and convenient. 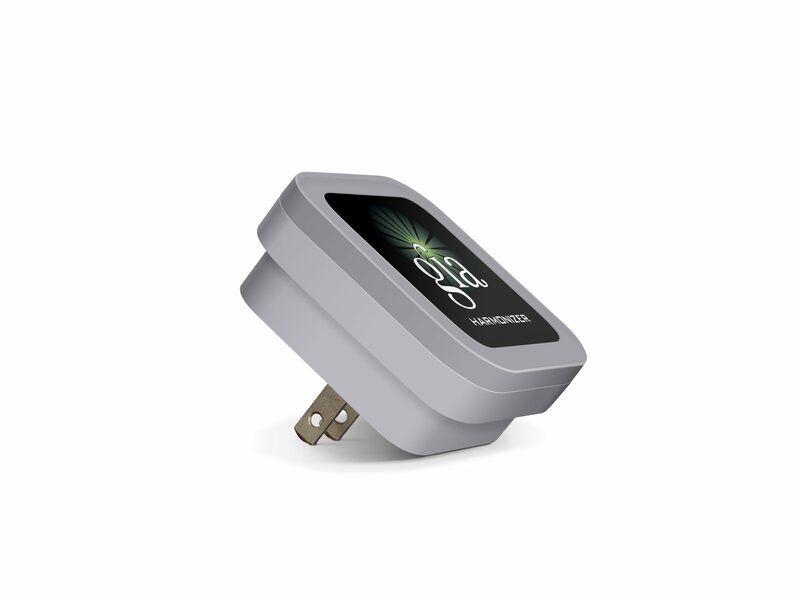 Plug into your wall outlet (for bio-energetics reasons, not for power) and you’re ready to go! 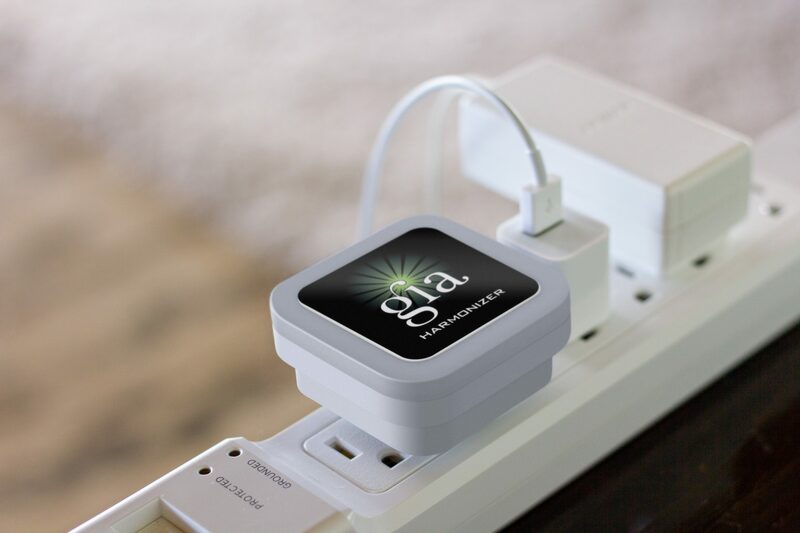 Plug the GIA Harmonizer into a centrally located wall socket or power strip in your home or office. 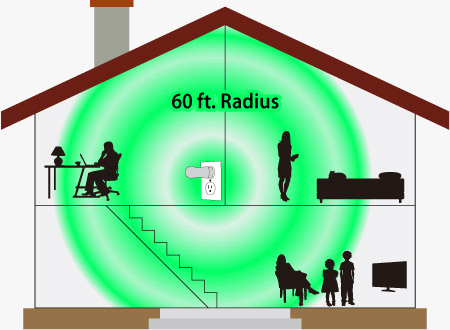 I installed my GIA Harmonizer in my home office because it is centrally located upstairs and I have numerous EMF-emitting devices in the room. What surprised me was my dog’s reaction. The upstairs of our home is off limits to the dog and that worked well, because he never liked to be in our office anyway. That is, until we installed the GIA Harmonizer. Within 24 hours, the dog paid an uninvited visit to the office, and now is a regular visitor. He even hesitates to leave when scolded! He has been attracted to that room ever since the product was installed. He demonstrates what we all feel – a desire to be in a calmer, less stressful environment. I have two computers in my office and when I used to work at them, I could only sit for 15 minutes at a time?I used to feel so drained. When I plugged my GIA Harmonizer into my office wall, I noticed I did not have to get up as often. In fact, I have to force myself to take a break! I am less fatigued, less stressed, and so much more productive! Between my wife, my kids, and I, our home is filled with wireless gadgets. Our family is sensitive to electromagnetic fields, but ever since we installed GIA Harmonizers throughout our home, everybody has felt a sense of relief, more energy and better sleep.